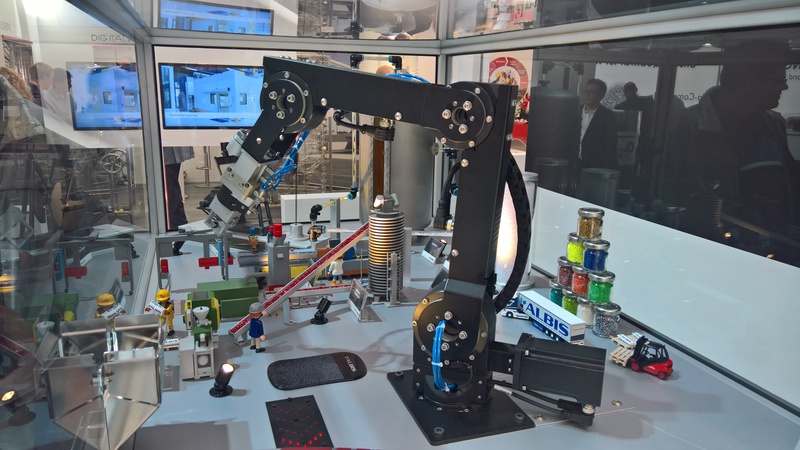 At FAKUMA fair, they presented a very nice “demo plastic factory”, using our 4 DOF robolink® arm RL-D-RBT-3322-BC as manipulator. The complete project has been realised by the training workshop at Albis (“AZUBI” project). Very nice demonstration!